Vaporjoes.com – Vaping Deals and Steals – SPRING LOVE: TRADENVAPE.COM – 50% OFF EJUICE – $6.00 30ML! 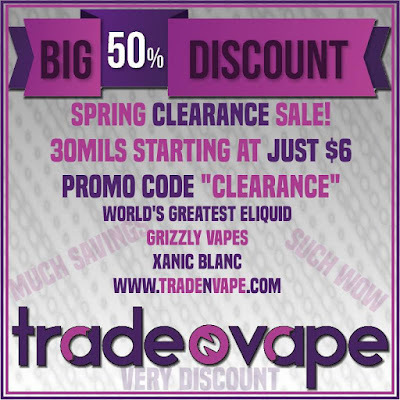 SPRING LOVE: TRADENVAPE.COM – 50% OFF EJUICE – $6.00 30ML! Looking for some great ejuice? Check out Tradenvape.. They are doing a fantastic deal with a 50% off sale! At just $6.00 for 30ml – now is the time to try them or stock up on your favorite flavor! While there – check out the wide array of new and used items – and even trade in your old gear for credit towards something new. Trade N Vape has something for everyone. 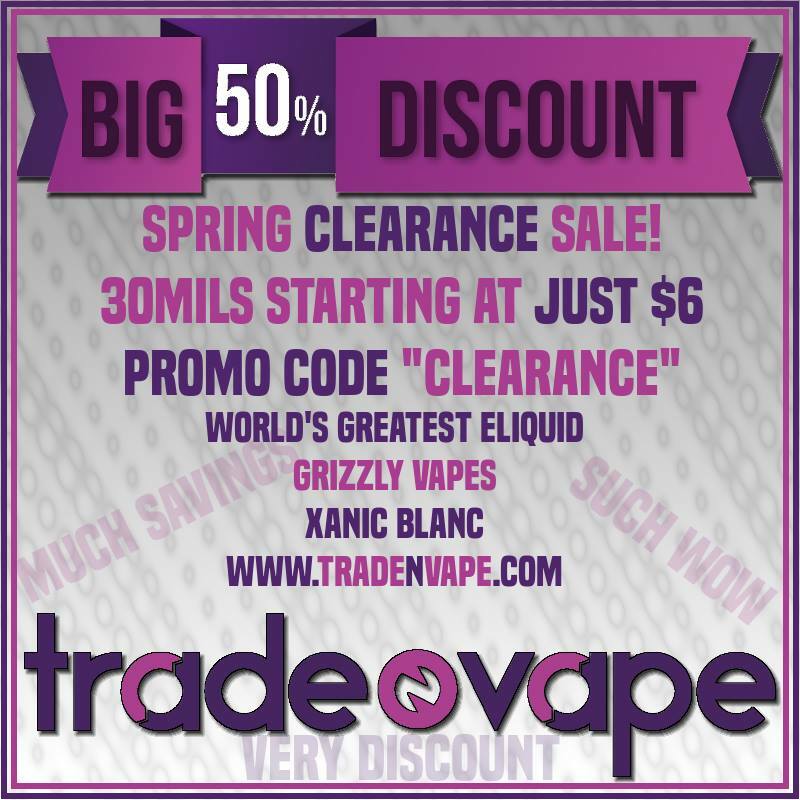 By vapor-Wednesday, April 20, 2016-Uncategorized-Comments Off on SPRING LOVE: TRADENVAPE.COM – 50% OFF EJUICE – $6.00 30ML!